Just a few days before his death on July 23, 1885, former President, Ulysses S. Grant, penned the final pages of his memoirs. Published posthumously, consisting of two volumes, the “Personal Memoirs of U. S. Grant,” was an instant best seller, and the income derived from its royalties restored the Grant family fortune which he had lost through several bad business decisions. Mark Twain, Grant’s publisher, lauded the memoir as a “literary masterpiece.” The memoirs are highly regarded by military historians and literary critics alike, and nearly 140 years after its author’s death it has yet to go out of print. 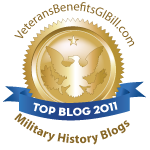 Ulysses S. Grant parlayed his fame as the victor of the Civil War into a political victory when he was elected the 18th President of the United States in 1868. Periodically historians tend to rank the Presidents from best to worst, and Grant’s lack luster performance as President, combined with several political scandals of those in his administration, typically leaves him ranked near the bottom, with most historians summarizing Grant as an honest man but a poor judge of character. In his memoirs Grant makes several negative representations of a few fellow Union Army generals. If Grant was such a poor judge of character, then why do most historians take what Grant wrote in his memoirs as the gospel truth? If Grant could be wrong about the character of the men that he appointed to places of high esteem during his administration, couldn’t his negative characterizations in his memoirs be incorrect as well? Frank P. Varney, Professor of History at Dickenson State University, has asked that very same question and his research has led him to some startling conclusions about what we think we know about the Civil War, and how much of it was shaped by the writings of Ulysses S. Grant. Citing multiple historians, tracing their sources Dr. Varney uncovered many noted historians have taken Grant at his word, using his memoirs as a single source for various incidents of the war. Professor Varney, using multiple primary sources, compared them to Grant’s writings to uncover striking differences compared to what his contemporaries wrote. And in at least one instance it appears that Grant falsified the records of the War Department to the detriment of others. 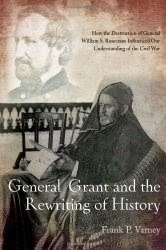 Though several of Grant’s brothers-in-arms careers were, or were very nearly ruined, by his unflattering assessments of their abilities, Dr. Varney’s book, “General Grant and the Rewriting of History” focuses mainly on William S. Rosecrans, and discusses in some depth the battles of Shiloh, Iuka, Corinth, Stones River and Chickamauga. Dr. Varney’s chapters are organized much like a geometric proof. Each starts out with “The Context” where he sets the stage for what is about to be discussed. “The Controversies” follow, first giving a brief bullet point list of the controversies discussed in the chapter, and then one by one discussing each controversy in depth. Varney’s “Evaluation” follows, and when appropriate the professor discusses the historiography of the topic discussed. He compares what both Grant and other historians have said against the primary records, and states his conclusions. “General Grant and the Rewriting of History” is a stunning example of the craft of history. Professor Varney may have changed future narrative of the Civil War, and William S. Rosecrans may at long last get credit where credit is due, for both his triumphs and his failures. Professor Varney’s book is well and convincingly written and exhaustively written. Though not a book for Civil War novices, students of the war will have their long held views of the war challenged by this thought provoking work. ISBN 978-1611211184, Savas Beatie, © 2013, Hardcover, 336 Pages, Photographs, Maps, Footnotes, Appendix, Bibliography & Index. $32.95. To Purchase the book click HERE.